Founded in 1952, Nashville R&B label, Excello Records and its gospel-focused sister label, Nashboro, found an unusual path to success.Operating out of Ernie Young’s Record Mart (“The Record Center of the South!”), Excello owner Ernie Young forged a partnership with 50,000-watt clear-channel radio station WLAC. The influential station’s dusk-to-dawn broadcasts of rhythm & blues boomed through the stratosphere, captivating millions of teenagers and crossing racial boundary lines while the orders for Ernie’s package deals – four records from the top of the R&B charts combined with two Excello releases — poured in through the mail. By 1955, Young had sold millions of R&B discs and scored hits with the Kid King Combo, Louis Brooks And His Hi-Toppers, and Arthur Gunter. He had also forged a partnership with Louisiana record producer Jay D Miller, who was supplying Excello with ‘swamp blues’ recordings that were a huge hit with Southern audiences. 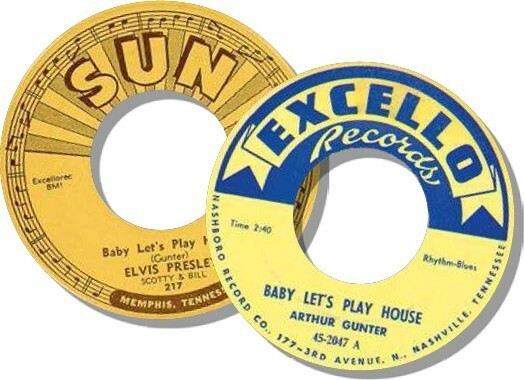 But one of Excello’s biggest financial successes came when Elvis Presley scored his first national hit with a cover of Arthur Gunter’s Baby Let’s Play Houseon the Memphis-based Sun Records. THE WINDFALL OFpublishing royalties from Elvis’ hit was just a portent of the changes that were sweeping across the music industry in the Hillbilly Cat’s wake. 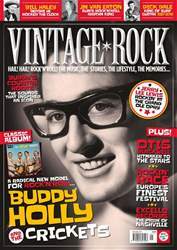 The rock’n’roll hurricane had been gathering strength for years. As WLAC’s afterhours R&B programming popularity increased, scores of radio stations across the country followed their lead and began dedicating blocks of programming to R&B, often hosted by DJs who peppered their shows with jive talk and wildman antics.